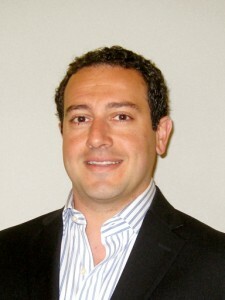 Scott Safadi (b. Ghais Safadi April 27, 1981) is a Palo Alto, California businessman and property manager. Born in Damascus, Syria, Scott Safadi relocated to America with his family at two years of age, where he was raised in the northern part of California. Learning to speak Arabic from his parents, who were unable to speak English, Safadi learned English from the children’s TV show Sesame Street. While in high school in Los Gatos, Scott Safadi was an active athlete, playing both wide receiver and kick returner for Los Gatos High School’s football team. While working hard to maintain good grades and practicing with the football team, Scott Safadi volunteered for the Good Samaritan Hospital. At the time, Scott Safadi had aspirations of joining the medical profession and he began his pre-med studies at Dartmouth College where he specialized in the genetics area of medical studies. During his junior year at Dartmouth, Scott Safadi spent an extended period of time in Jackson Hole, Wyoming, where he indulged his love for snowboarding. The sport employed his athletic, competitive nature while providing him the opportunity to spend time in the great outdoors. Today, Scott Safadi enjoys spending time in the snow whenever he gets the chance. A Saratoga, California resident, Scott Safadi is married and has a daughter, Sophia, who was born in early 2012. In addition to snow-based sports, Scott Safadi also likes to play tennis and ping pong, in addition to backpacking, bicycling in the mountains, and playing disc golf. Scott Safadi began his career in finance, serving as an analyst for a San Francisco-based real estate business. This position allowed him to gain an array of experience in real estate and property management, including how to manage both assets and property and managing various construction projects. Scott Safadi leveraged that experience as he began his next job, for a firm that specialized in constructing condos for office use. Later, Scott Safadi accepted a position with a private firm specializing in homes designed for single-family use. There, Scott Safadi worked directly on each area of a project, from purchasing and preparing the land to overseeing construction on each property through completion. Scott Safadi also served as property manager for the firm’s various rental properties. It was from this opportunity that Scott Safadi was able to establish and grow CBPM, the property management business he currently owns and manages. CBPM is one of the top property management firms in the San Francisco Bay Area. What sets CBPM apart is the attention to detail Scott Safadi pays to each property. Customer service is the focus of Scott Safadi and the staff of CBPM; Safadi personally visits each of his properties on a regular basis to make sure both owners and tenants are happy. To maintain this individualized service, Scott Safadi makes an effort to keep his property list relatively small, only taking on the number of clients to whom he can provide personalized service. Each unit managed by Scott Safadi and CBPM is regularly updated to ensure each aspect is as up-to-date as possible. A California Certified Resident Manager, Scott Safadi specializes in units that have between 16 and 150 units. CBPM’s property management services include marketing, accounting, staffing, construction, and legal services. Scott Safadi makes it his ongoing mission to provide the best services to each of his property owners and their tenants.